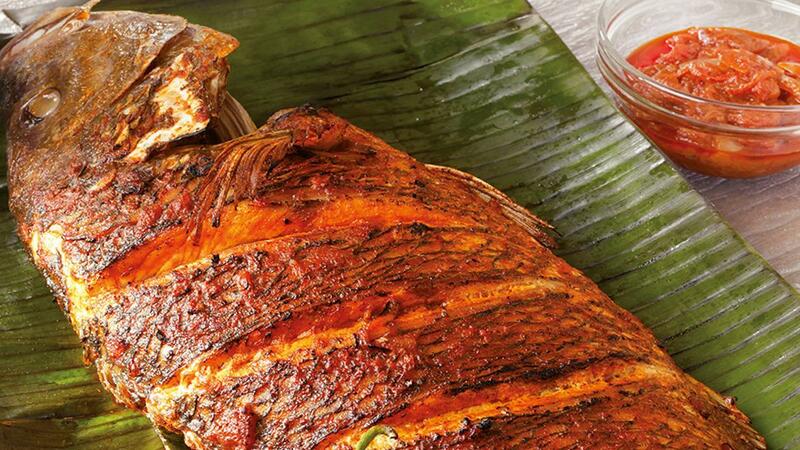 Sambal, a traditional Malay hot sauce, gives the delicious fresh snapper a great flavour boost. Score the fish both side. Mix all ingredients in a bowl, marinated fish for 2 hours. Baked in pre heat oven at 150° Celsius, for 35 minutes or until the fish is done. Place all ingredients in long charfing dish, bake in pre-heated oven at 170° Celsius, for 15 minutes. Arranged Baked Whole Snapper on serving plate. Served with prepared "Sambal Sauce".